1. 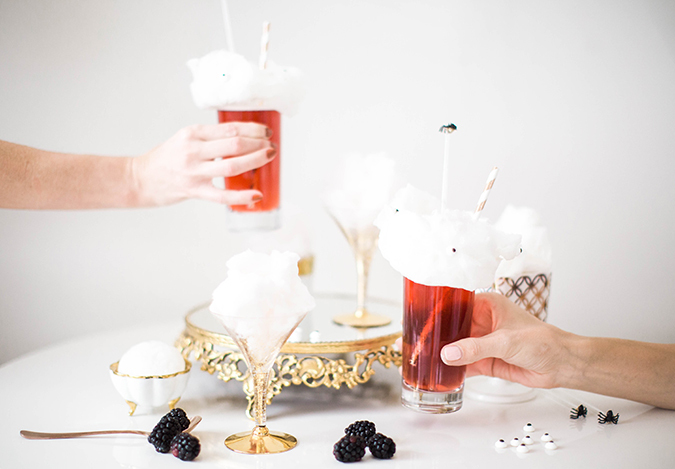 In a cocktail shaker, add the vodka, sparkling juice, prosecco, blackberries and juice from one lime. Muddle the blackberries, then add ice. Shake well until combined. 2. 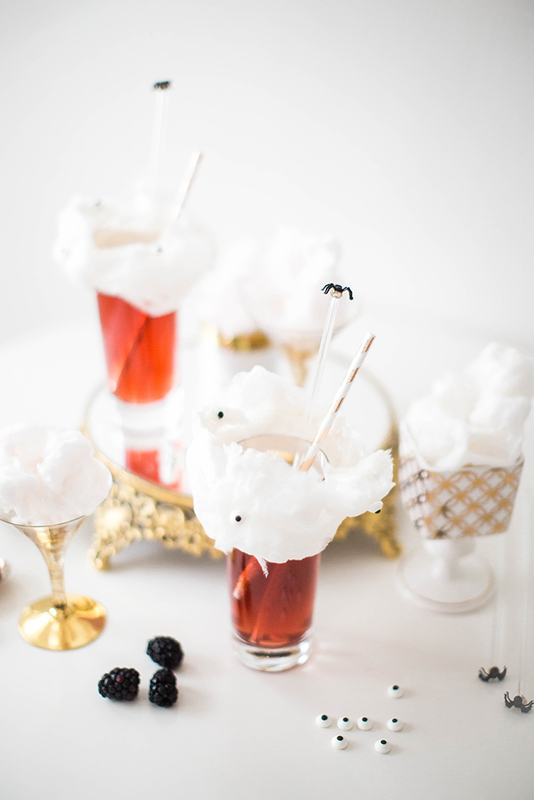 Pour into highball glasses and top off with extra muddled blackberries if desired. 3. Pull apart cotton candy so that it becomes nice and wispy. Place around the rim of each glass. If you can’t get it to stay in place, moisten the rim of the glass with a tiny bit of water and it should stick. 4. 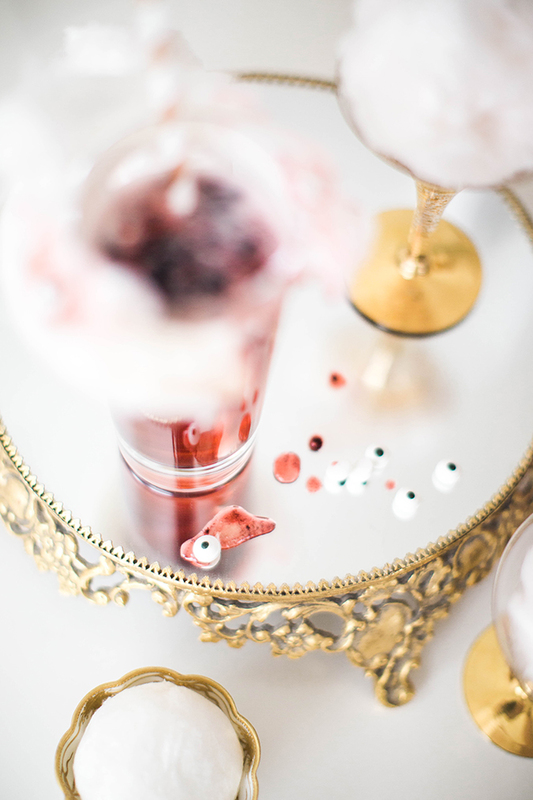 Place spooky eyeball candy (or festive sprinkles) around the cotton candy to garnish. 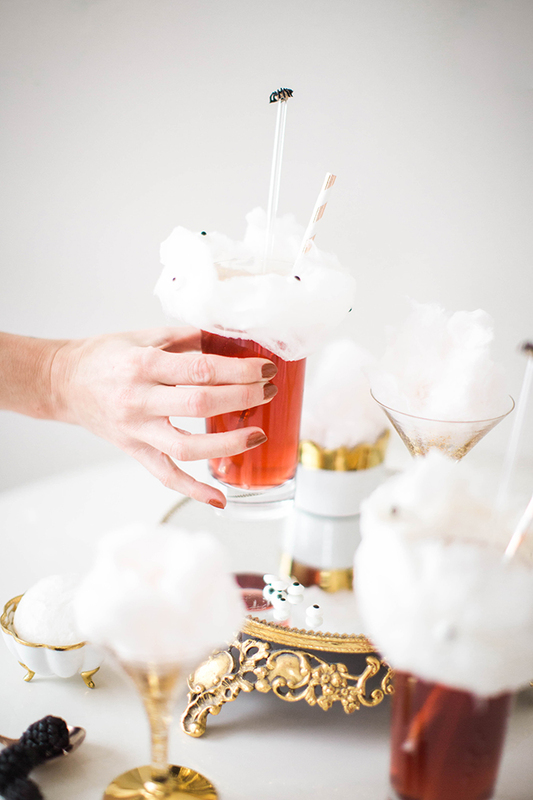 For an extra frightening decoration, drizzle the cotton candy with the cocktail mixture and watch it melt! 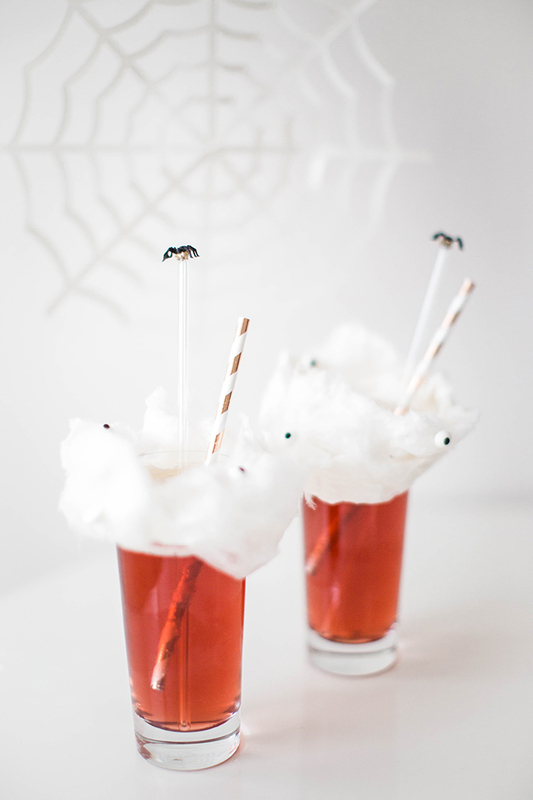 You’ll be sipping spooky with this sparkling concoction! Will you be mixing up this Black Widow Berry Cocktail? 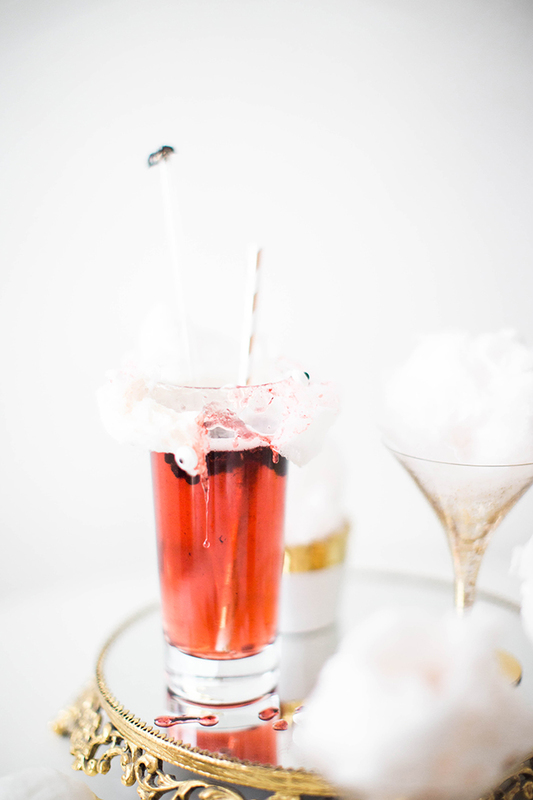 Let me know what your favorite cocktails are in the comments!